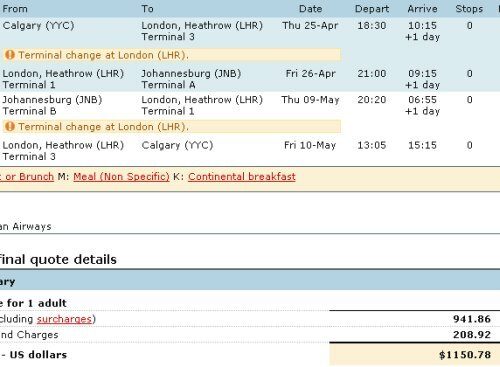 Air Canada looks to have some pretty cheap flights to South Africa from Calgary at the moment, into both Cape Town and Johannesburg. Typically, the bottom price to South Africa from Calgary is around $1500 roundtrip after taxes. The cheaper flights look to be in April and May. Try a 3 day flexible date search on Kayak to see what's available. South Africa is about as far as you can get from Calgary, with many cities at a distance of approximately 15,500 km (9,700 miles) away . 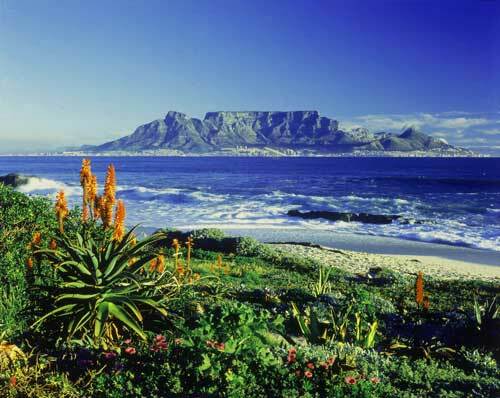 calgary, yyc, flight deals, air canada, africa, johannesburg, south africa, southern africa, jnb, cape town and cpt.